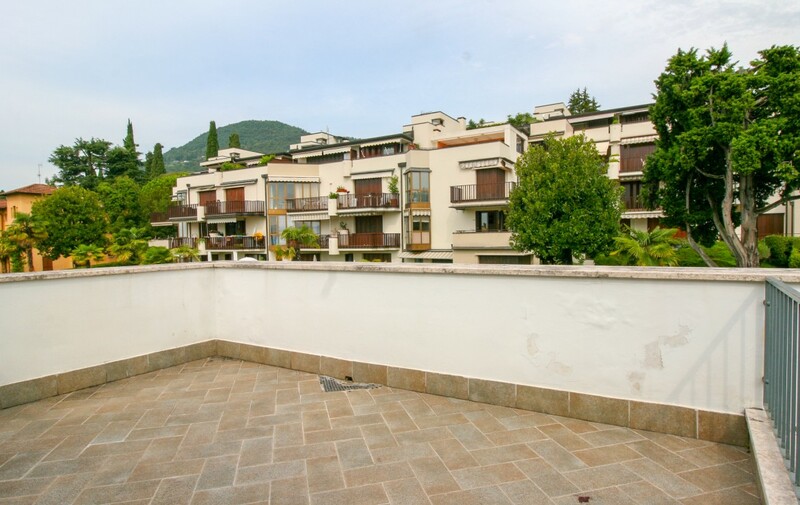 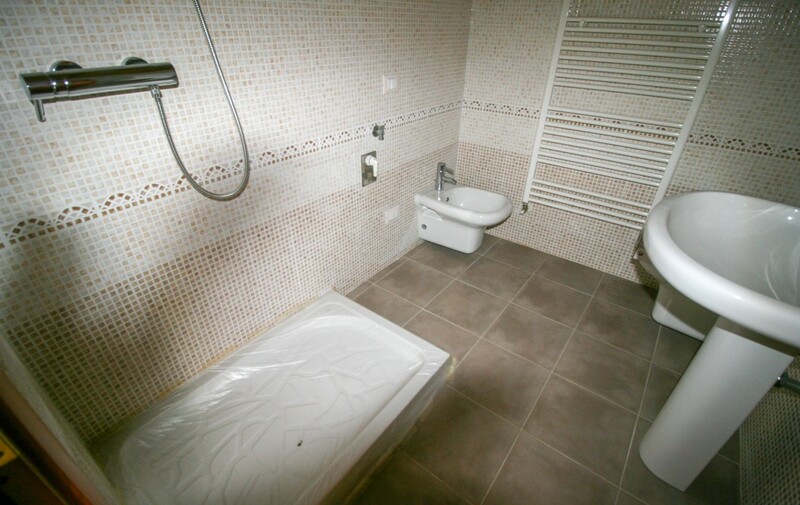 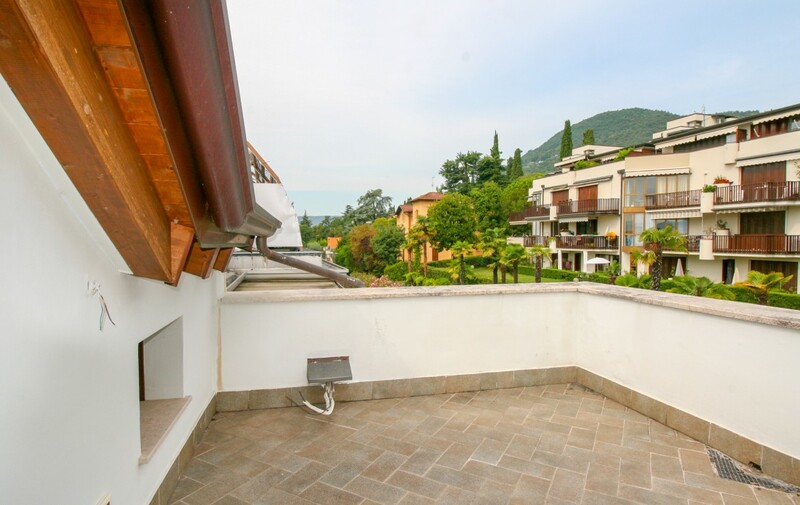 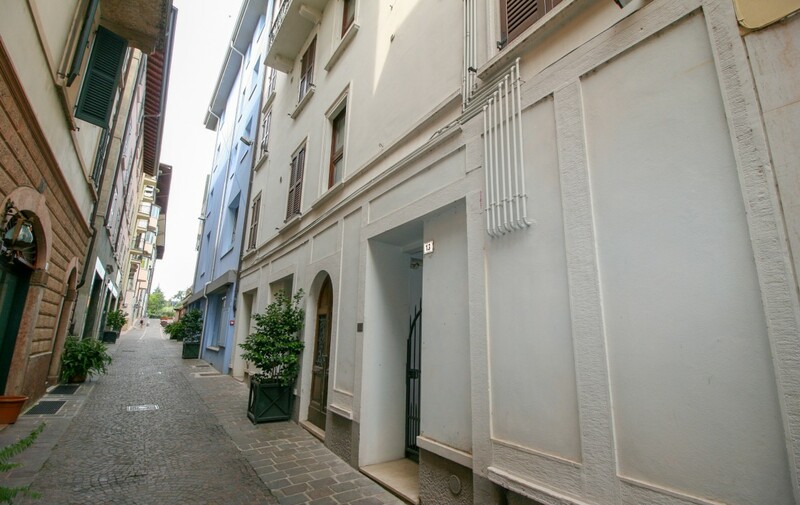 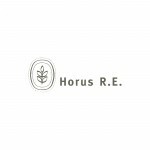 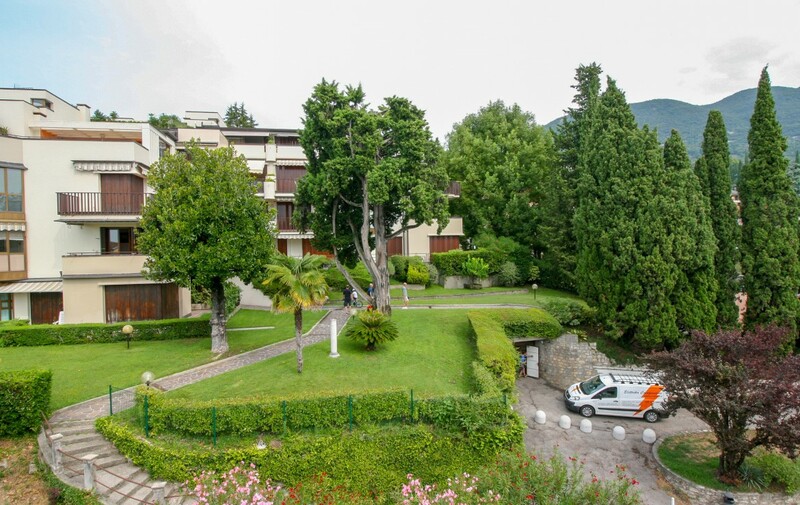 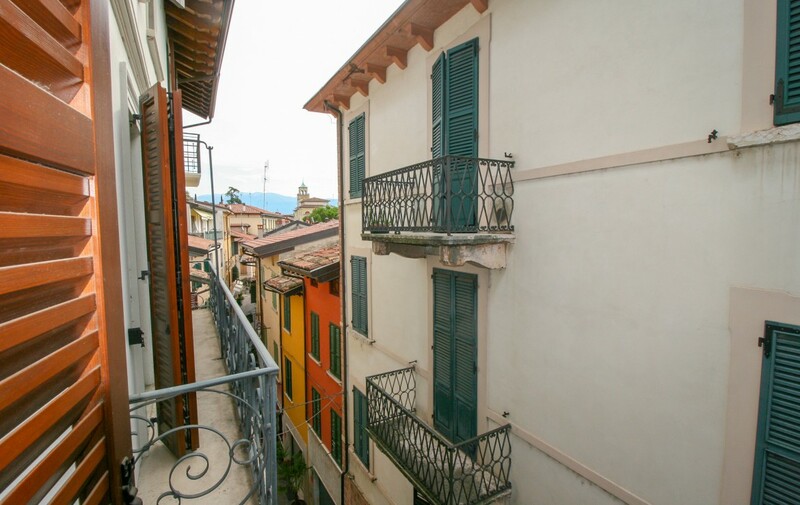 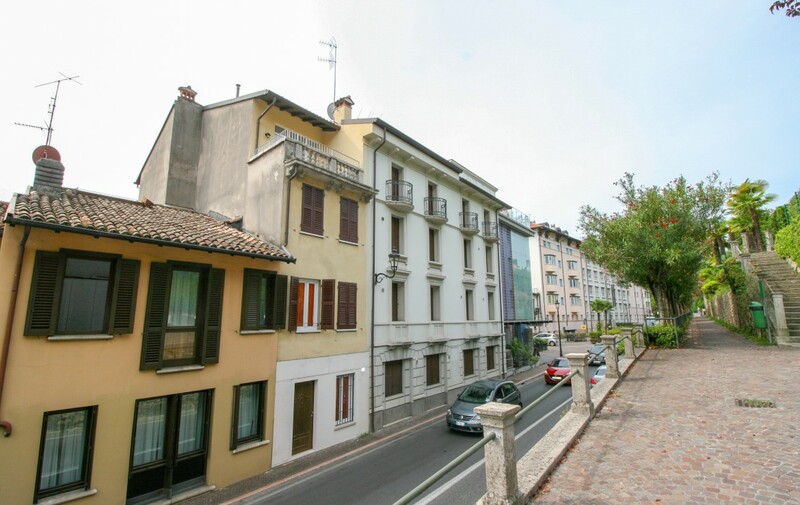 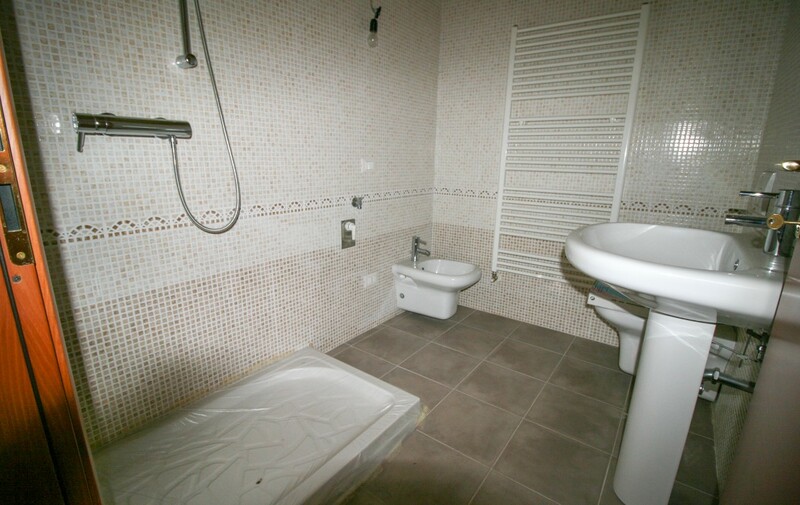 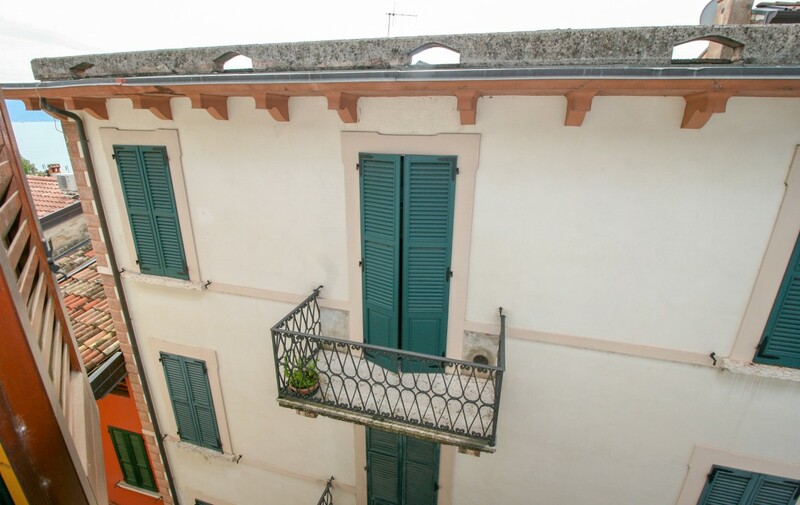 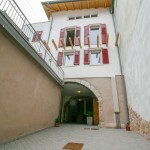 Gardone Riviera, apartment in historical centre with terrace - Horus R.E. 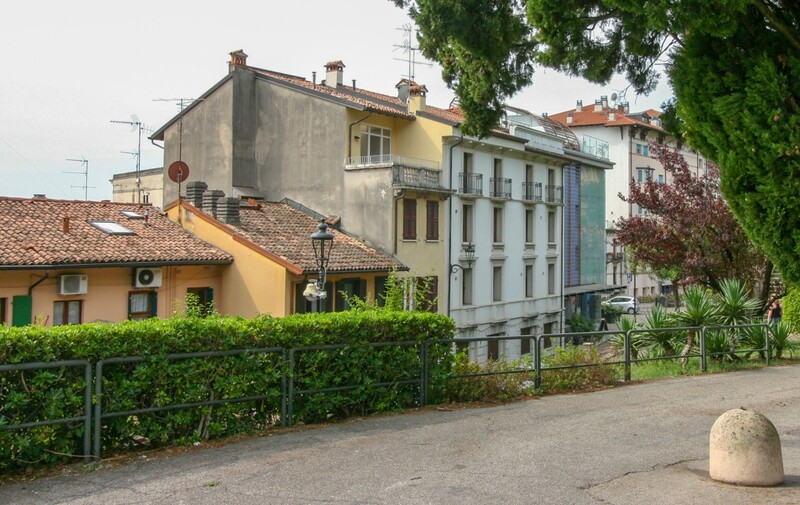 Immersed in the natural beauty of the Brescia shore lies Gardone Riviera, in Lombard town particularly appreciated by tourists and lovers of outdoor sports. 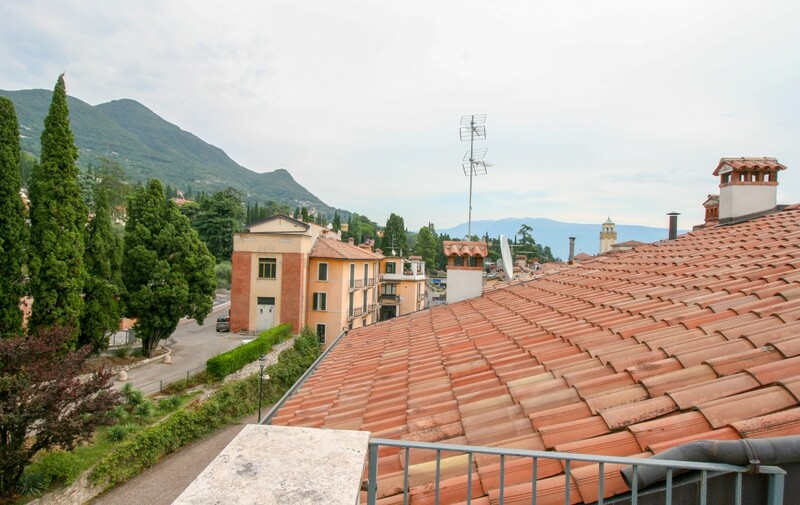 Once home to Gabriele D’Annunzio, the garden city of Gardone Riviera offers attractions and monuments known all over the world as the “Vittoriale degli Italiani“, the splendid mausoleum surrounded by flower gardens. 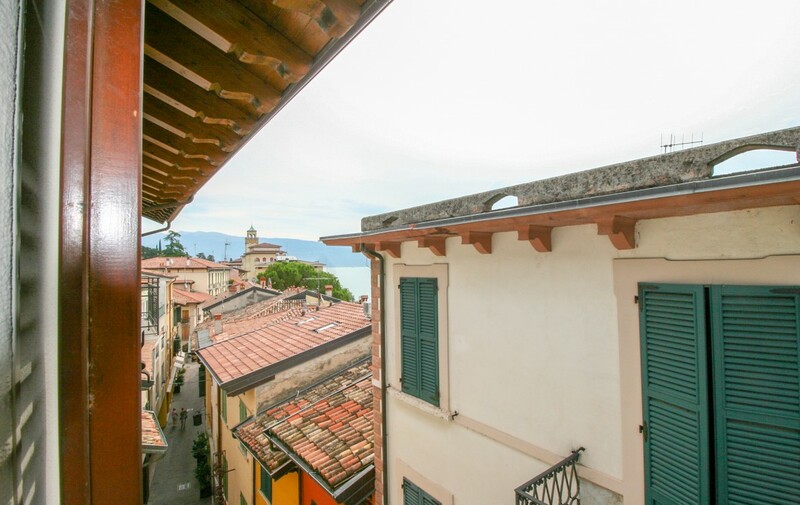 The town boasts a particularly varied altimetry, which allows you to spend pleasant days enjoying the landscapes of the regional park or sunbathing along the shores of Garda lake. 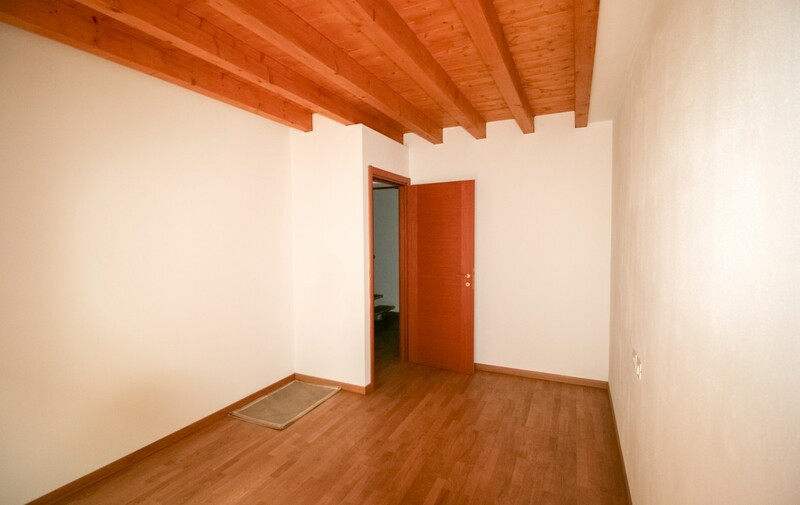 In this context, we propose a newly built property free on both east and west sides. 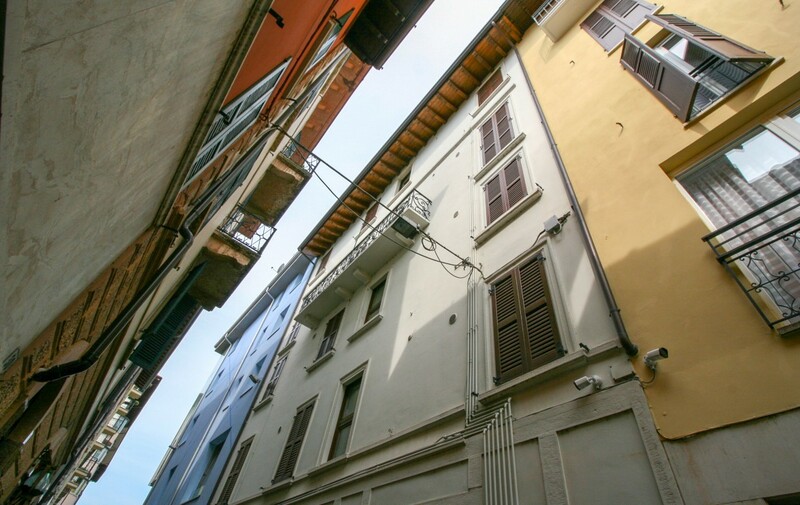 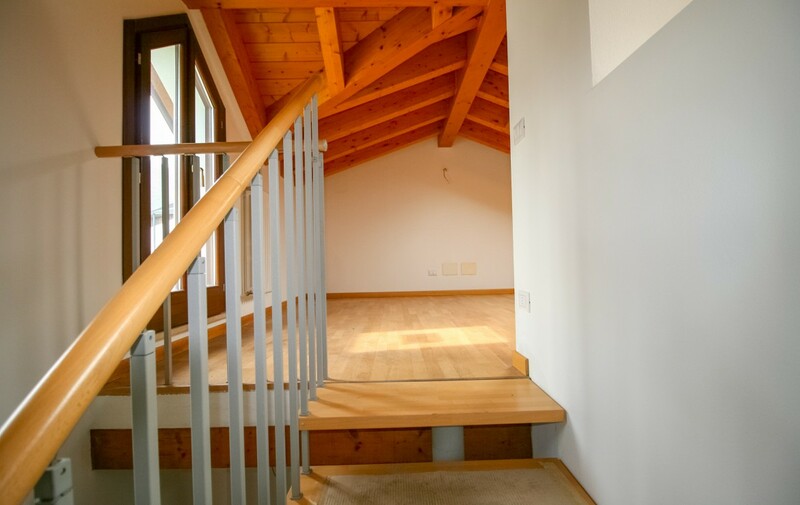 The house consists of three levels located on the third, fourth and fifth floors of a building located in Corso Giuseppe Zanardelli, in the historic centre of Gardone. 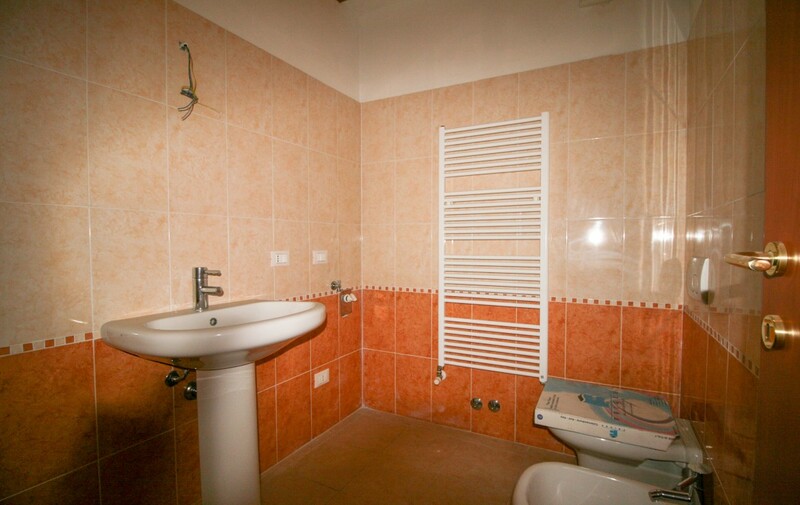 The building consists of five floors and is equipped with a lift and video intercom. 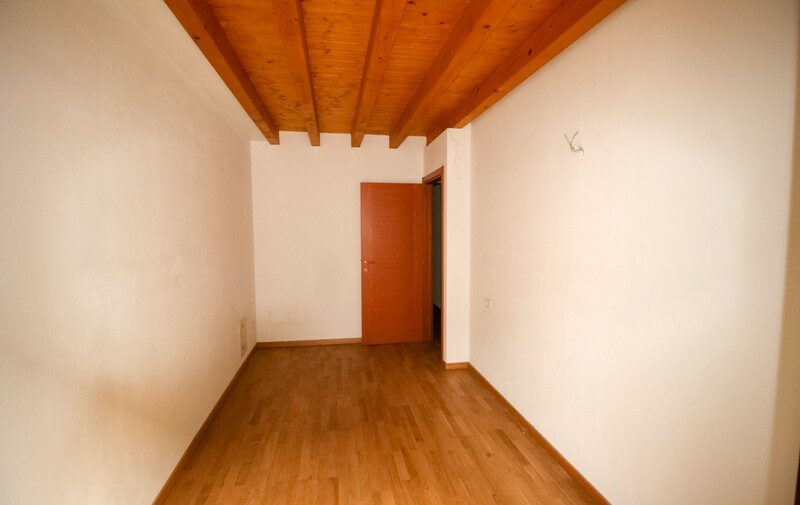 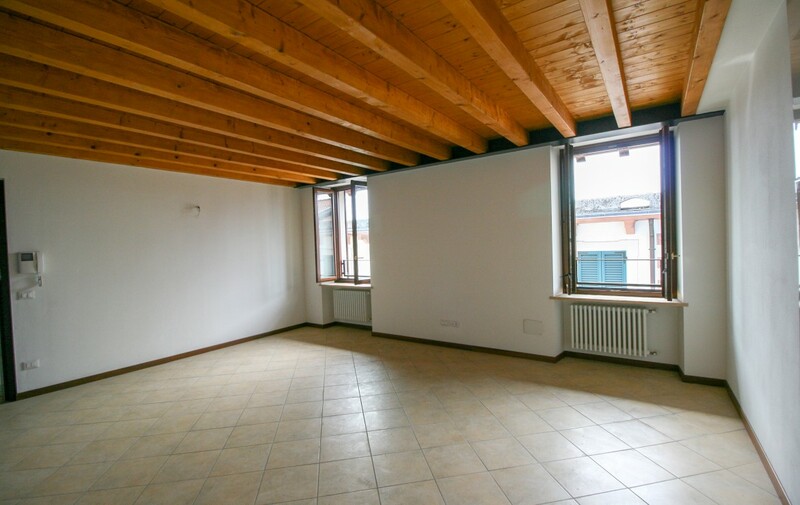 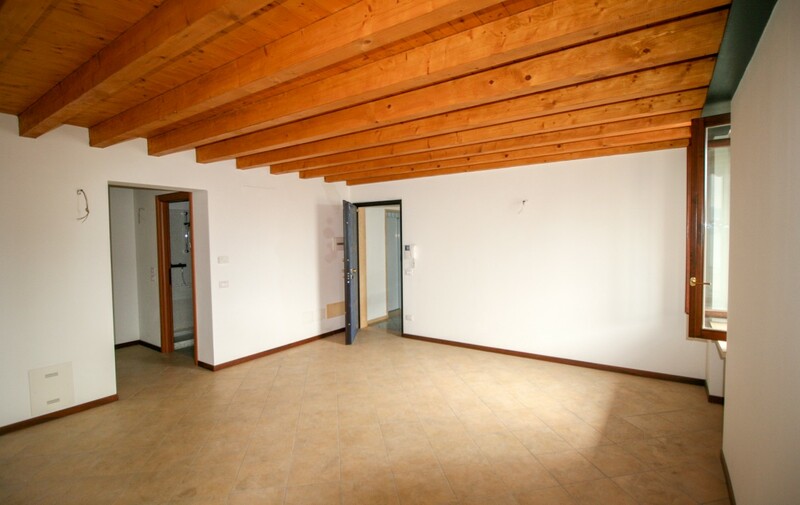 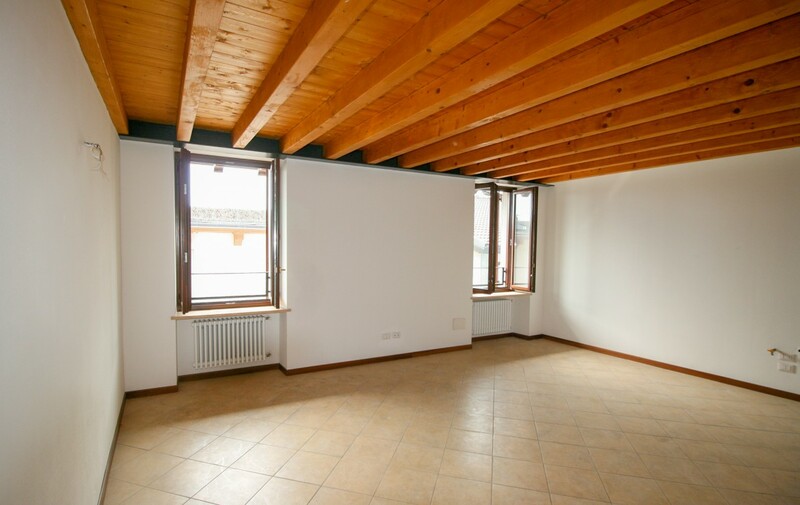 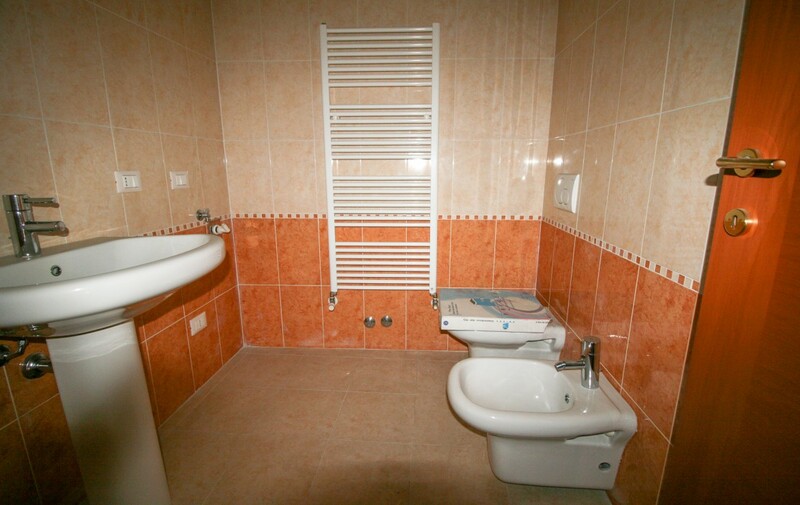 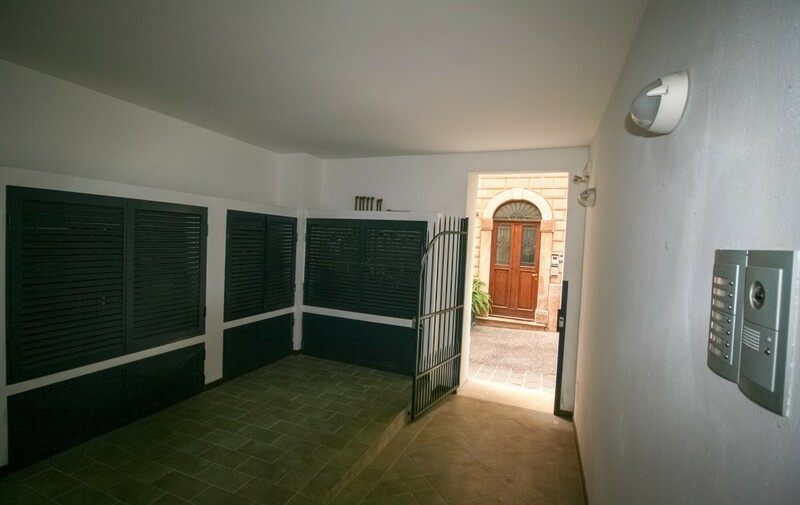 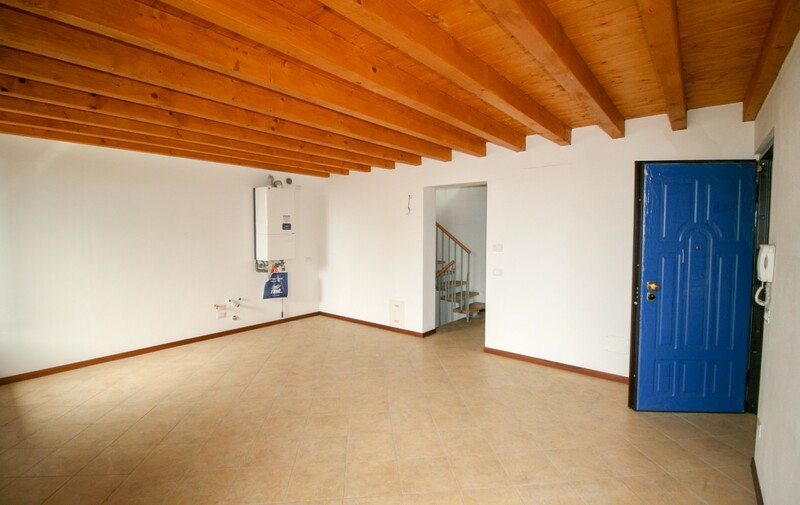 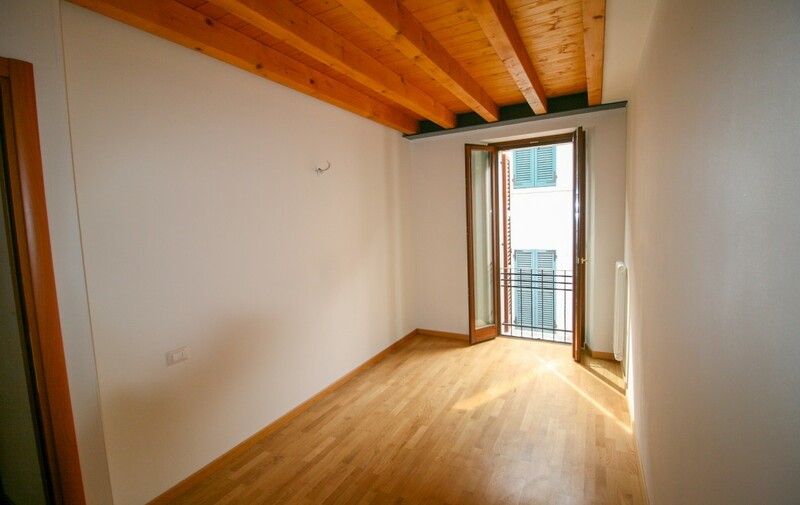 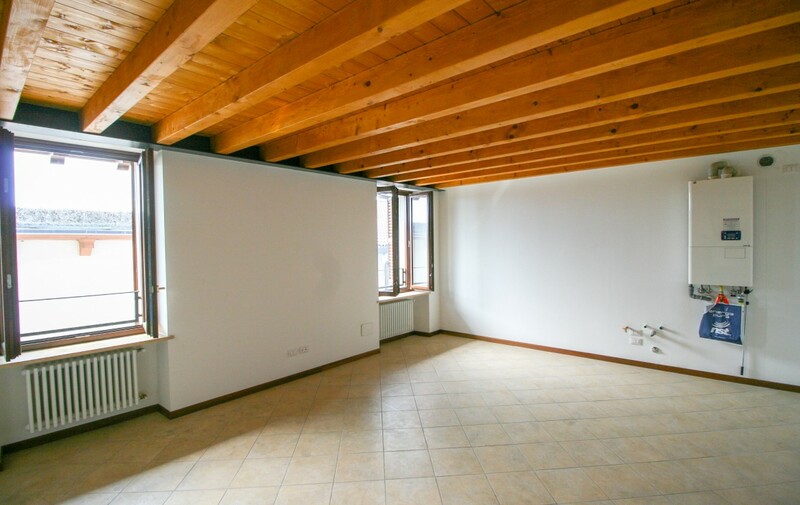 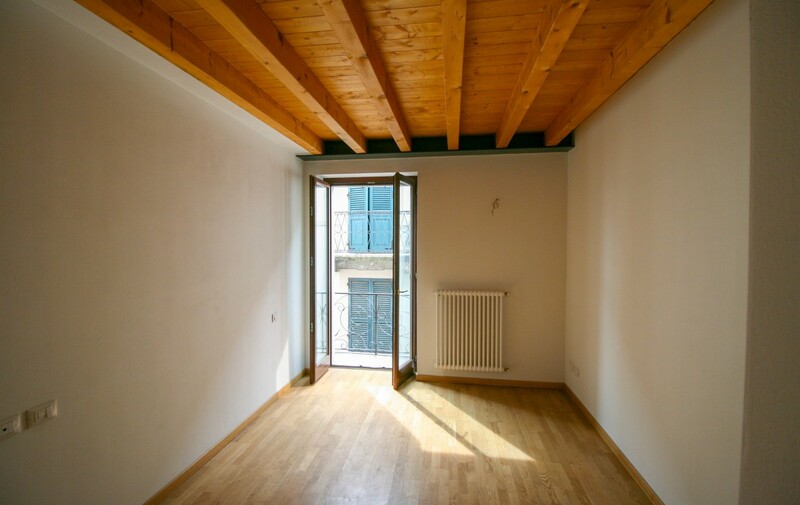 The three levels of the property are spread over an area of 135 m² commercial divided into four rooms. 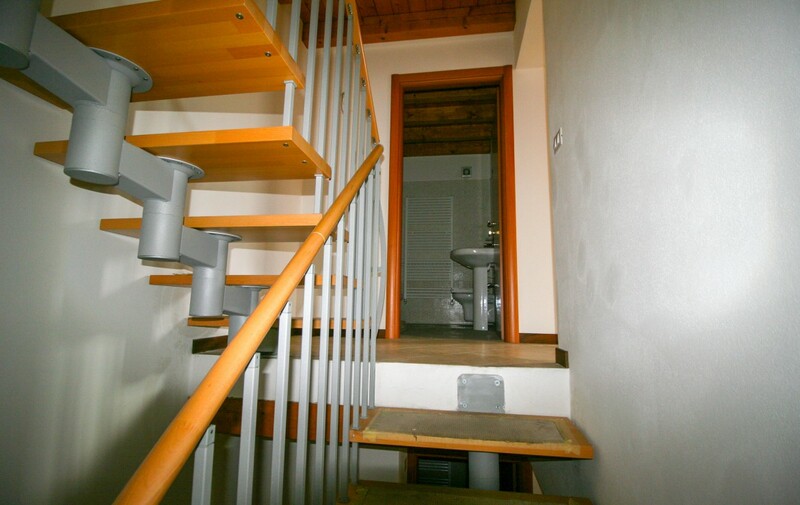 A metal staircase with wooden pegs connects the three levels, in the lower level, hosts a sleeping area and an atrium that connects the rooms to the bathroom with shower. 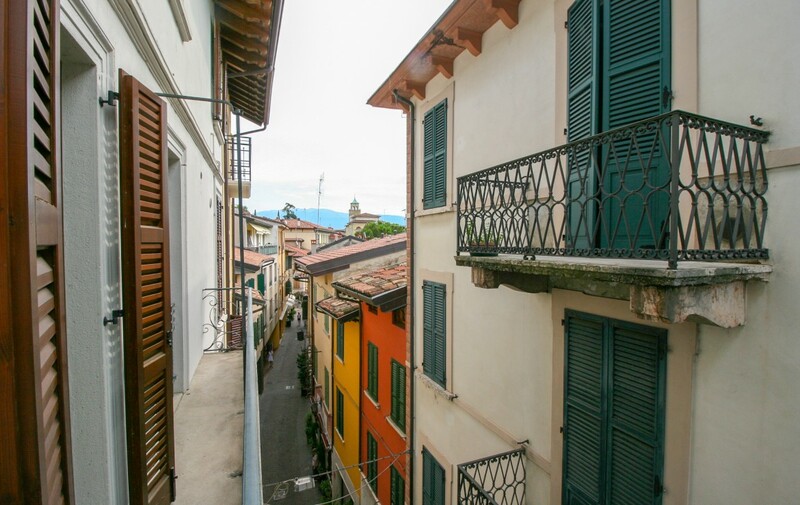 The sleeping area consists of two bedrooms with parquet floors, one of which overlooks a small private balcony. 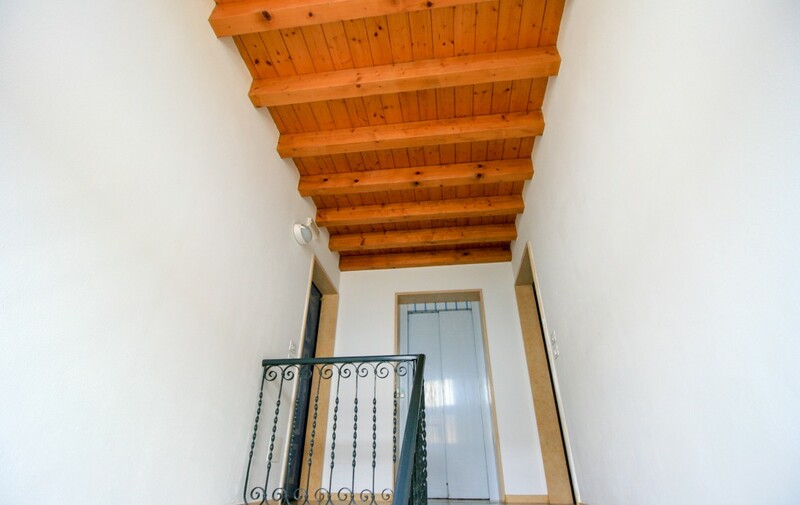 Going upstairs we find the second bathroom and a spacious living area with open kitchen and ceiling with wooden beams and ceramic floors. 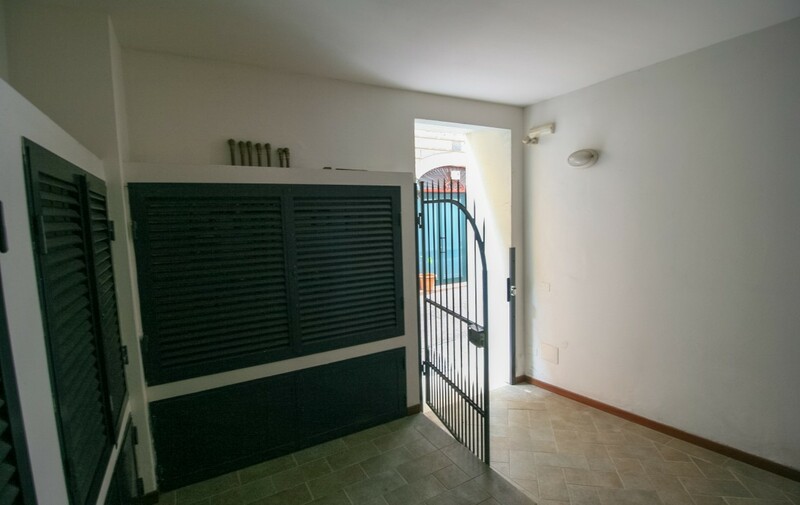 Access to the apartment through the armoured door with a characteristic blue lacquered wooden panel that guarantees security and privacy to the occupants. 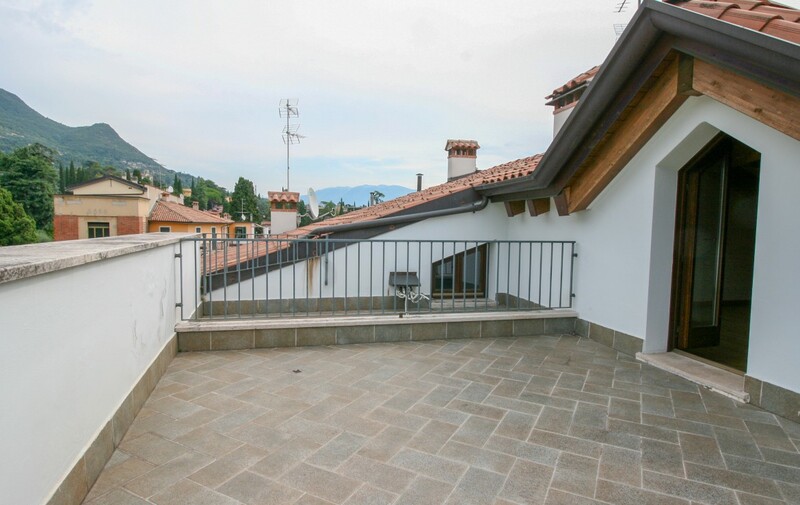 The latter overlooks a cosy terrace overlooking the mountains and the gardens of the neighbourhood, ideal for setting up an outdoor area equipped with tables or sofas. 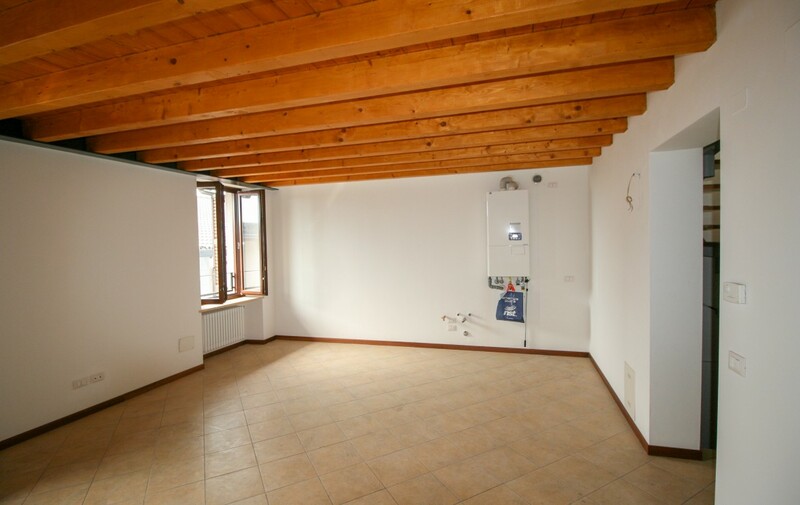 Complete the property a practical garage, located a short distance from the building, where you can park your car and move to the shops in the historic centre without worrying about finding parking on the street. 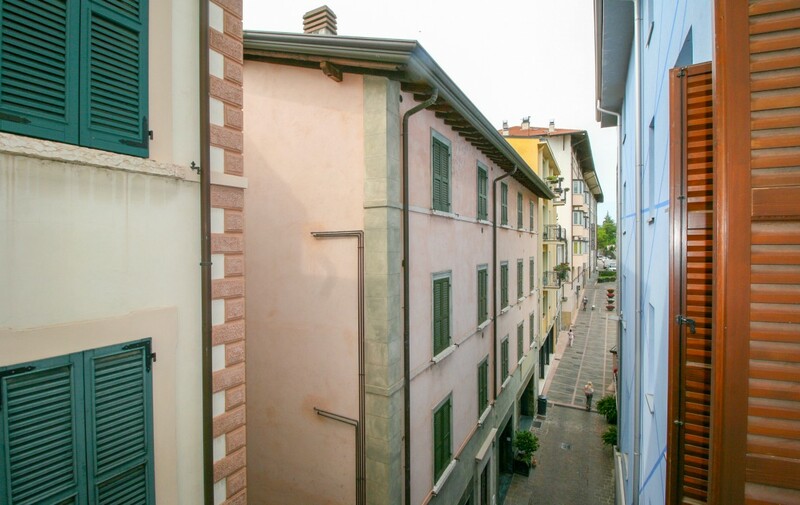 On the third floor is accessed from the staircase that descends from the fourth floor where is located the area giono. 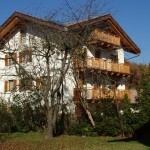 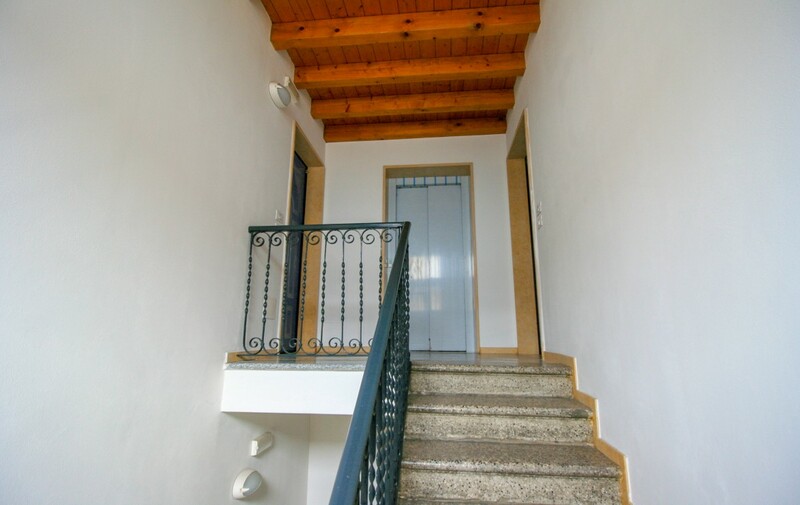 You will find the two rooms, one with the balcony, the bathroom and a small atrium. 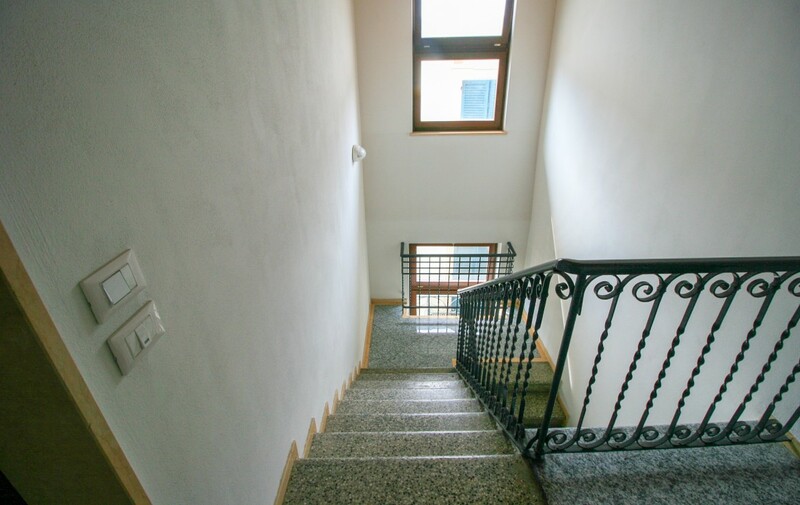 The access to the apartment is on the fourth floor, where there is a large room used as a living area with the attacks for the kitchen, a small atrium and the bathroom. 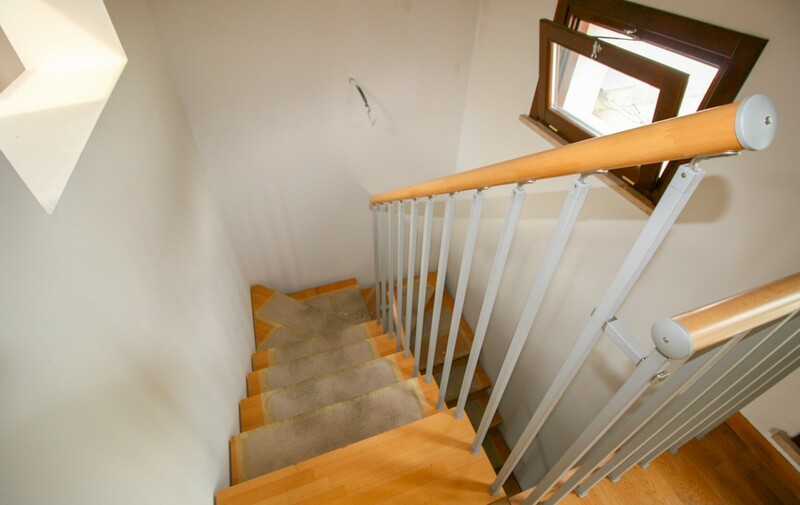 Always on the floor we find the internal staircase that descends to the third and rises to the attic. 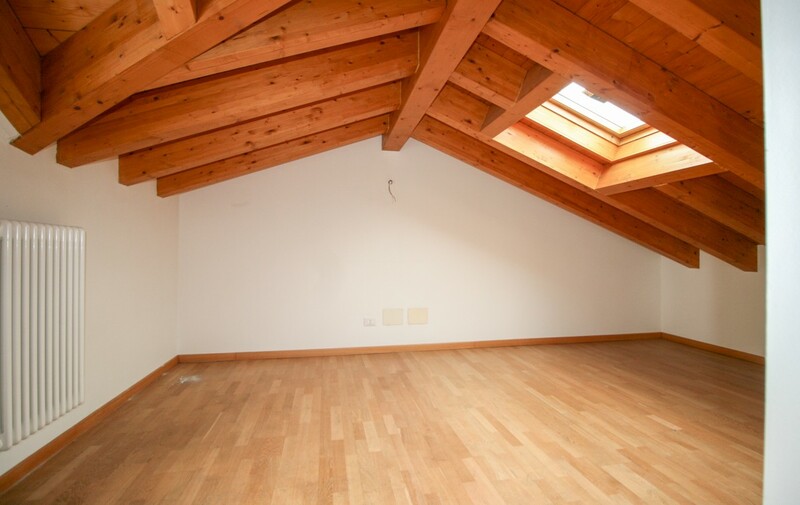 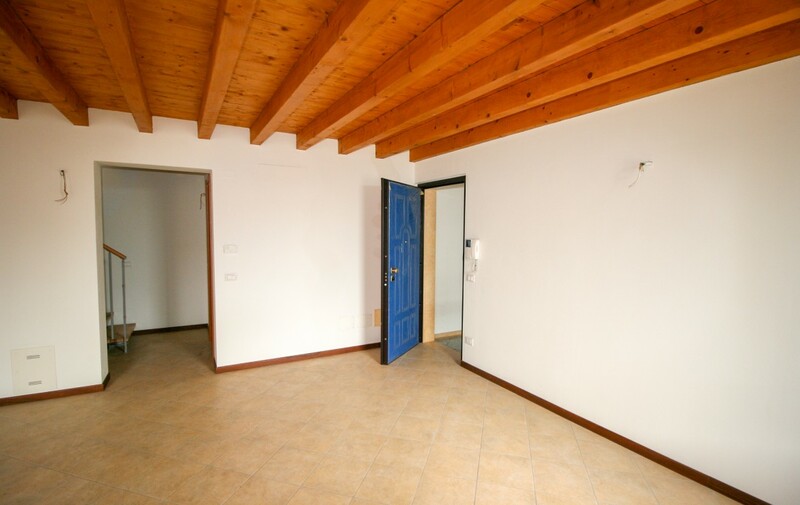 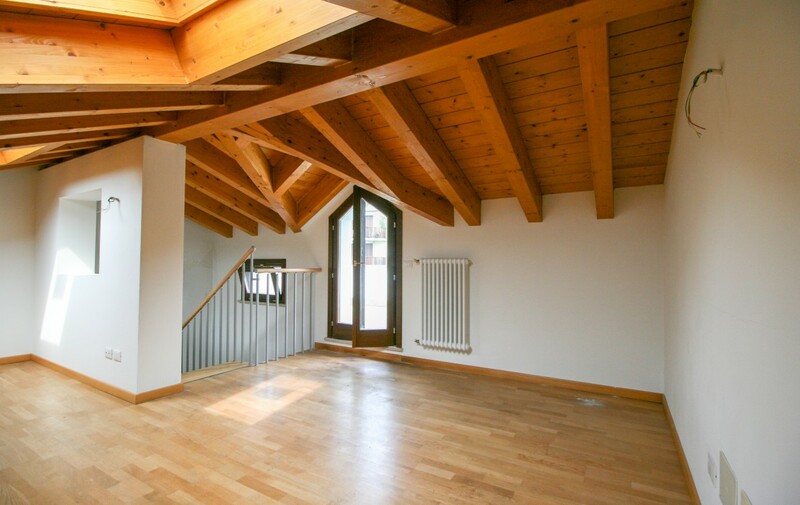 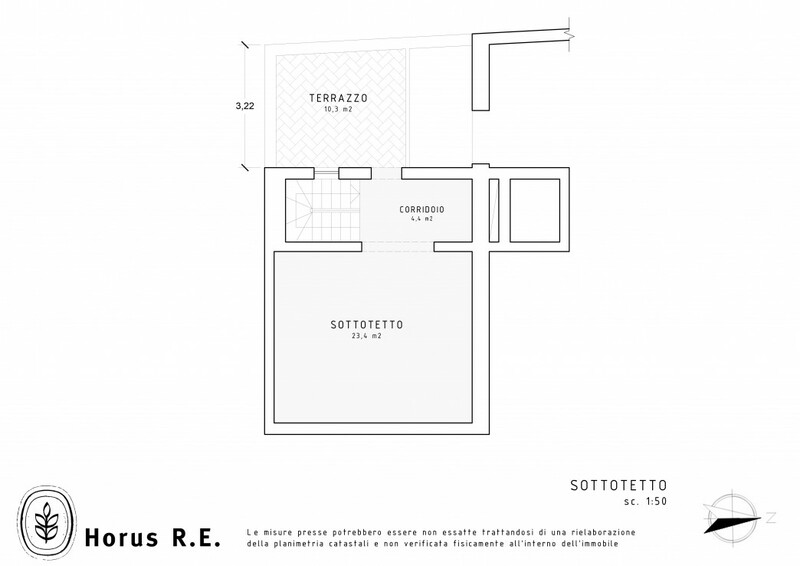 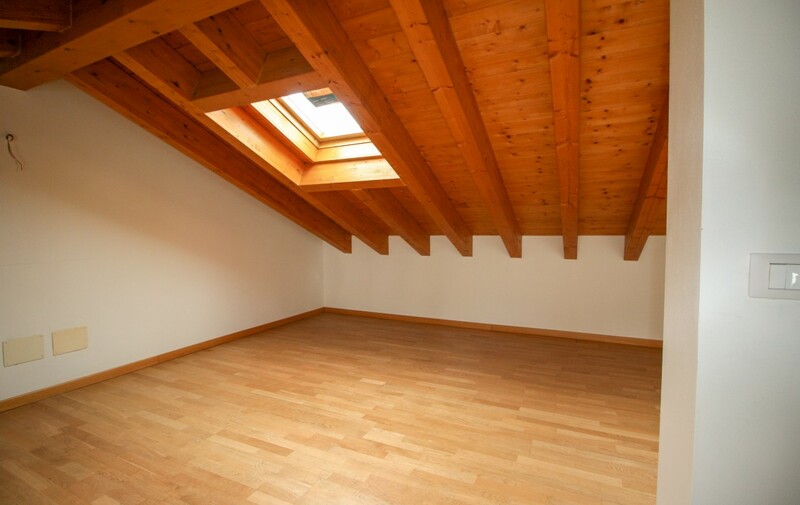 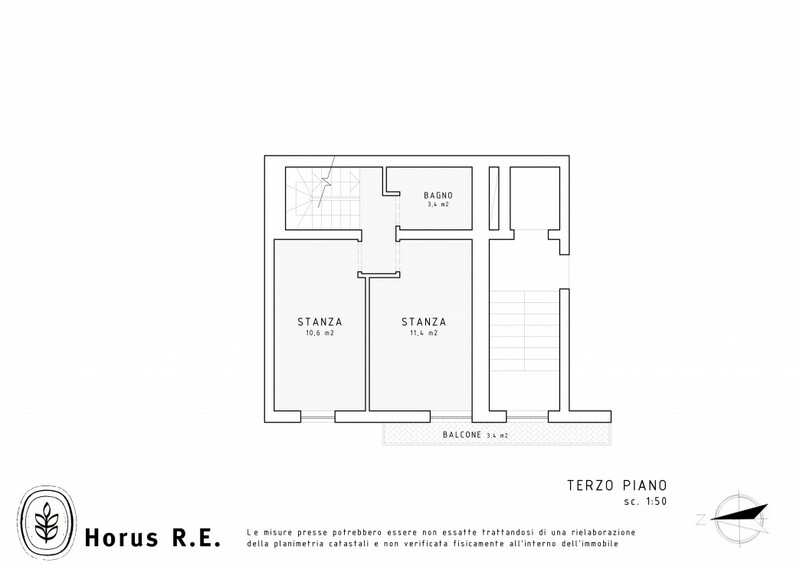 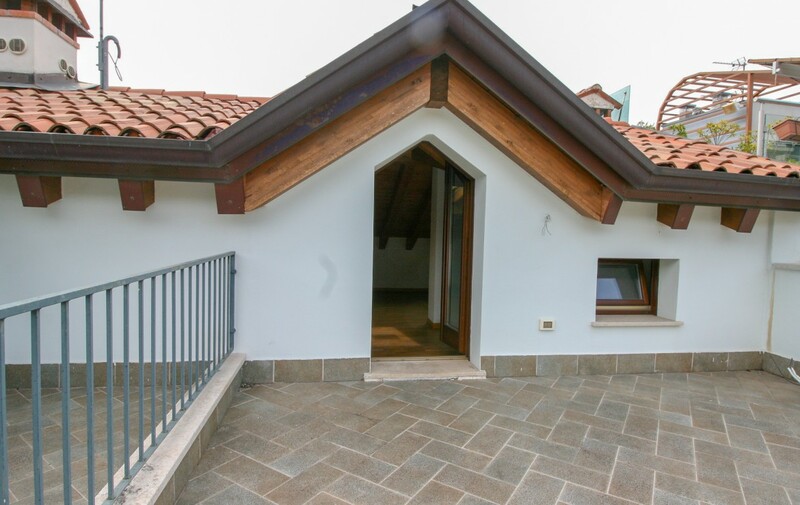 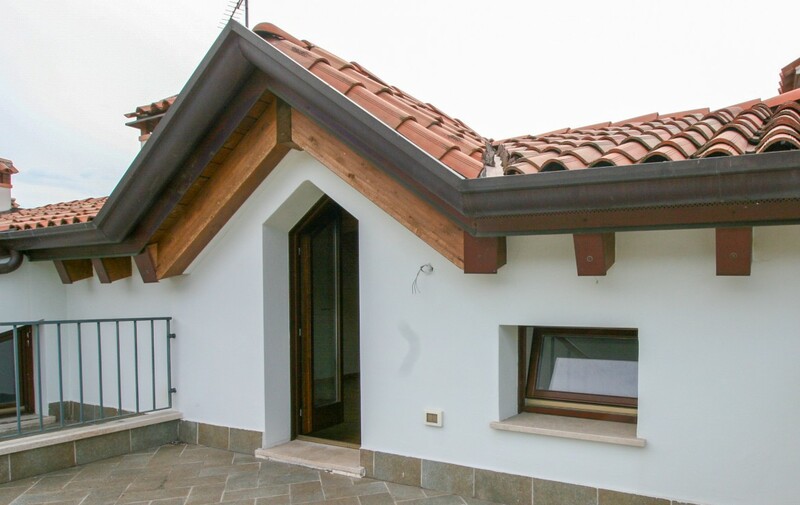 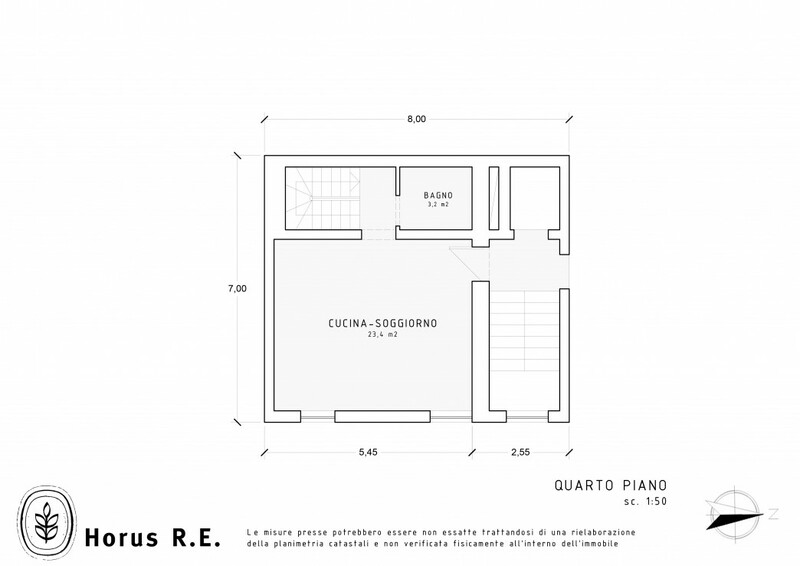 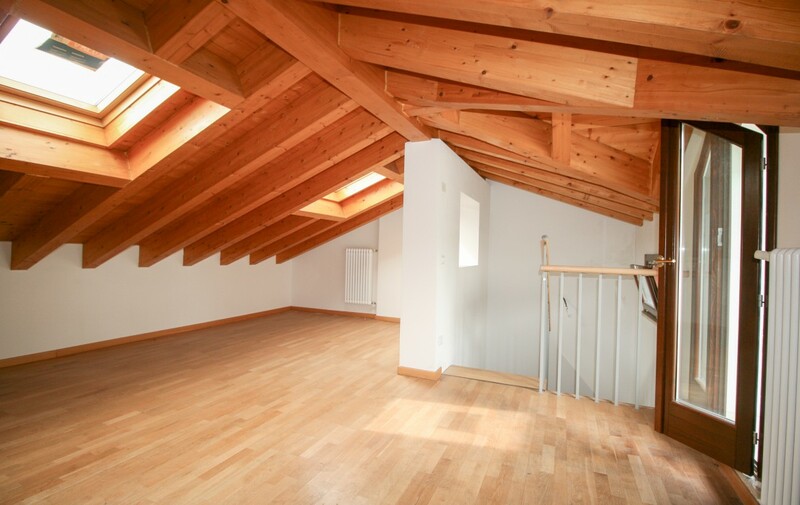 The fifth floor is composed of a single large room with exposed roof, with access on the terrace of over 10 sqm.